The 12th issue of Scheherezade’s Bequest is online! Scholars say that one of the qualities of a fairy tale is its sense of wonder, that thing the reader feels when they realise that here, in this story, anything at all might happen. As you read the stories and poems we’ve collected for this issue, we think you’ll experience just that. From the love imbued in a simple hat, to the terror of a contraption known only as ‘the beast’, through locked doors and across marble threshing floors, you’ll know that in these tales, magic happens, and you’ll wonder, just like we did, if it might one day happen to you. We’re pleased to welcome new authors as well as those returning, and we’re especially pleased by something that appeared in a different ‘zine which ties in nicely to one of the stories appearing here. When you read the introduction to Christine Lucas’ On Marble Threshing Floors, you’re going to want to know more about that wonderful song. Fortunately, there is more to be had. Read Athena Andreadis’ A (Mail)coat of Many Colors: The Songs of the Byzantine Border Guards, published in the first issue of Stone Telling, a new webzine of diverse, speculative poetry edited by Rose Lemberg. Athena has a story appearing in issue 12, too. Though the Moon Be Still as Bright is a timeless, placeless tale of love left behind. 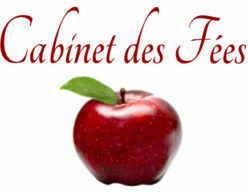 As for Cabinet des Fées, once again things are changing around here. We want to alleviate some of the confusion concerning this website and its assorted offerings, so from now on each issue of Scheherezade’s Bequest will be kept separate from our other content, meaning that this is the last time you’ll see media reviews going live with our fiction issue. We also won’t be posting as many images within each issue, but each issue will have a cover that can easily be shared online. The cover for this issue is a close-up from Frederic Edwin Church’s The Ruins at Sunion, Greece (pronounced as Sounion), circa 1869. We are also changing our reading periods for Scheherezade’s Bequest, so please be sure to check our updated submission guidelines. When we do reopen to submissions, we’ll be using a new submission system. You’ll be able to track your submissions and we’ll be able to keep better track of them. We are very excited about this new system, and we can’t thank Neil Clarke (of Clarkesworld Magazine) enough for sharing it with us. We would also like to welcome Andrea Janes as our new contributing blogger. Andrea will be covering the intersection between fairy tales and film, and we can’t wait to read her reviews. Film is an underrepresented area on Cabinet des Fées (as in not represented at all), and we’re grateful that that’s about to change. Thank you, Andrea! And speaking of contributors, Elwin Cotman has provided a very valuable addition to our website — a review of the classic Legends from Fairyland, including numerous scanned images from the book itself. He asks some important questions about why this particular book seems to have been overshadowed by the works of Lang and Barrie, and presents a happily biased look at what could be considered Harriet Parr’s masterwork. As ever, we appreciate those of you who spend time reading CdF, and we hope our changes make it easier for you to enjoy our offerings.